Last edited by Canalina on Thu, 12 Apr 2018, 18:10, edited 1 time in total. And yet most of them are right next door to the most successful rugby nations outside of the 6N. Is there anything that Romania and Georgia could do? Also Italy is near them but I've never heard about a cooperation between our federation and Slovenia, or our federation and Albania for example. Canalina wrote: Also Italy is near them but I've never heard about a cooperation between our federation and Slovenia, or our federation and Albania for example. two or three years ago the friuli ventia union proposed some sort of cooperation with the austrian rugby union, but it was fucked up by our union at that time in not communicating. now we have contacts again and it maybe will grow over time. it might have to do with the T&E service the RFU did provide years ago to this countries, at least to austria on a small scale. maybe personel contacts are now still working, in case of the austrian national team playing the british police team, this was the case. Are you talking about Unity Project that tied some Rugby Europe member nations to English counties? bonzosarmy wrote: two or three years ago the friuli ventia union proposed some sort of cooperation with the austrian rugby union, but it was fucked up by our union at that time in not communicating. now we have contacts again and it maybe will grow over time. 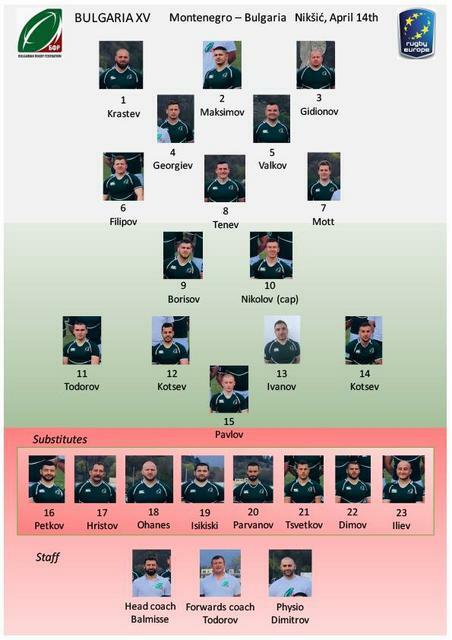 Rugby team of Montenegro on Saturday in Niksic (12 hours), at the stadium of Steel, against Bulgaria is expecting the first match within the 3rd Division of the European Cup of Nations. Two weeks later, a duel against Turkey in Istanbul follows. The best of these three teams will be placed in the higher ranking of the European competition. "We have been working hard in the past to better prepare for the matches in the European Cup of Nations. We are aware of the strengths and multi-disciplinary traditions of our opponents when it comes to rugby, but it will only be an additional motivation for my boys to provide the maximum and represent their country in a worthy way, "said selector Danilo Ceranic at today's press conference. He said he expects strong matches, regardless of the fact that in front of them they have played teams, made up of experienced professional players. 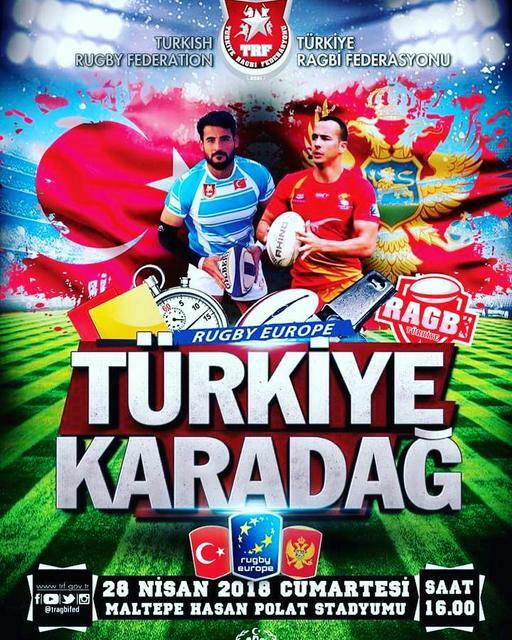 "Of our 23 players, who have been declared for matches against Bulgaria and Turkey, only a few rugby players are working professionally. The rest of the team is made up of domestic clubs, most of whom are members of Niksic. However, even though they are not professional players, they have shown very good results on all physical fitness tests, thanks to which they are able to practically equally resist professional players, "said Ceranic. The national team coach pointed out that rugby in Montenegro is still a young sport, given that it has been organized only a few years ago. Gee big turnaround Bulgaria. 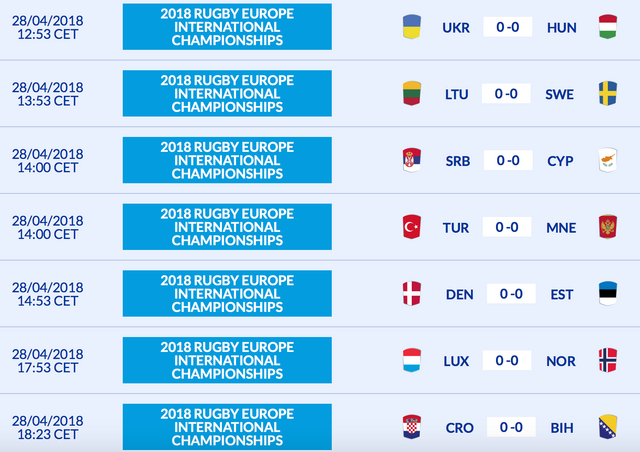 Montenegro won this match last year 42-19. Bulgaria taking relegation very seriously! Austrian championship is a laudable mix from various nations: Austria itself of course (ten clubs), Slovenia (Ljubljana and Maribor), Croatia (Zagreb Blues), Slovakia (Bratislava) and Czech Republic (Breclav)! the problem is when you have only ten clubs who could play 15s but they are on four different levels, you need to find other solutions then a national competition to satisfy the different needs of the clubs. it worked out quite well till now but with the new general data protection regulation 2018 in may, it will be difficult to continue with the organisation of this competitions. but i think it can have a pioneering role for the development of rugby in central/south europe, where all nations are struggling more less with the same problem. to few clubs on the same level for a competition. Canalina wrote: Austrian championship is a laudable mix from various nations: Austria itself of course (ten clubs), Slovenia (Ljubljana and Maribor), Croatia (Zagreb Blues), Slovakia (Bratislava) and Czech Republic (Breclav)! This sound like a nice setup for a Central European league. I shall follow it closely as I travel frenquently in Austria and who know, maybe I'll attend a match at some point. This is going completely off topic right now, but I wanted to add to such a nice map the info that RC Innsbruck II participated for two or three seasons until this season in the Bavarian (Germany) Verband League (2nd tier in Bavaria), in what I thought at first was going to be an attempt to reach a German Bundesliga status (like Luxemburg has done for example)... I guess I was wrong, although would be interesting to see how far could they go. Turkey v Montenegro match will be held at Maltepe Hasan Polat Stadium.